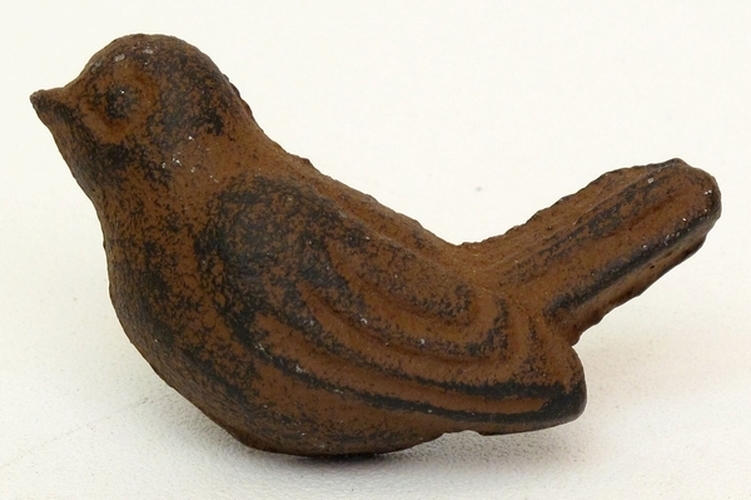 Cast Iron Bird Drawer Pull measures 2" wide by 3/4" tall and 1" set out from the drawer or the door. The screw hole on the back for mounting. Screws not included. Perfect for that replacement drawer pull, for your craft project or garden chest with all the bird seed! Or mount on plaque with silk flowers for a 3 dimensional wall decoration! Antique rust finish.